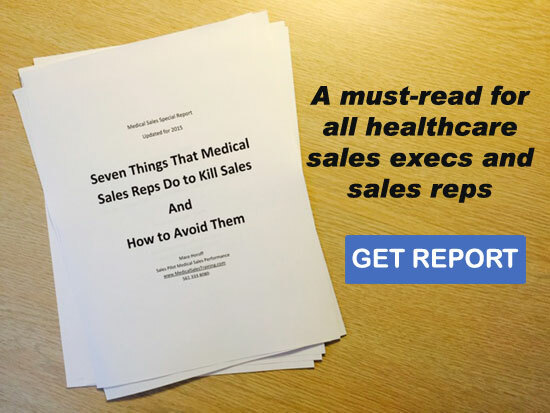 Medical sales reps shouldn’t need to be reminded of this, but unfortunately, they do. When you visit a hospital, doctors office, or any other prospect or customer in your territory, you’re a guest. In other words, show some common courtesy. For starters, when you check in at the receptionists window, make sure you’re not blocking the window. Yes, there are patients who need to be there more than you do. Make sure to give them top priority. Your sales call can wait. Silence your phone. And if you need to talk on the phone, go outside. No one wants to listen to your conversation. If anyone is standing in the waiting room, make sure it’s you. Seats are for patients first. If there are any empty ones, by all means, have at it. But if the other seats fill up and there are patients standing, give up yours. If you need to visit a different part of the building than you’re currently in, ask first. You wouldn’t help yourself to a walking tour in someone’s house. Don’t do it when calling on customers. Ask permission. People, including your customers, notice everything you do. Common courtesies go a long way towards endearing you to people who know you. Act like a guest, and customers will frequently treat you like one. It will feel great. And companies, teach your medical reps this simple premise of acting like a guest. Every sales representative should learn this when they go through their initial medical sales training.